Full Line Fabrication to Meet Even the Most Demanding of Specifications. The highest quality full line custom steel fabrication. With a full arsenal of fabrication equipment, our team meets challenging projects with quality and efficiency every time. Using our proprietary CHROMEWELD overlay products, we specialize in hard surface coatings to existing parts for extending wear life against abrasion and corrosion. We supply a variety of rolled and welded parts, from thin gauges through 8-inch thick steel. Our team members will weld or roll according to exacting standards and specifications. 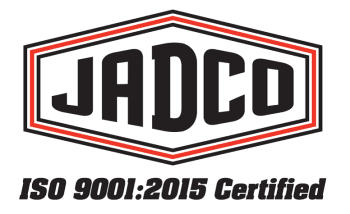 JADCO provides burning services utilizing the latest CAD/CAM technology and high-definition plasma or oxyacetylene equipment. JADCO can provide Blanchard grinding services for alloy, carbon, and overlay steel plate, including QT-PLUS® and CHROMEWELD for the strictest surface-finish applications. Head Chute with CHROMEWELD 600 liners for a material processing plant. Blast Furnace Receiving Hopper with CHROMEWELD 600 liners for steel mill.